The market for portable device chargers is slowly becoming saturated and it's difficult for companies to break through and let consumers know of a truly great product when they have one. I'm here to tell you that Ventev is that company–the one you want to keep your eye on. The Ventev line of products includes device chargers, cases and cables among other accessories. I recently had the opportunity to review a few of them and was impressed with their quality and performance. Ventev's Powercase 2000 ($89.99) for the iPhone 5 is a slim, lightweight phone case that doubles as a phone charger. Insert your iPhone into the case in the morning and push the orange button on the back of the case to begin charging. I recommend waiting until your battery is almost drained to begin charging rather than turning the case on early and attempting to keep your phone charged at 100% all day. 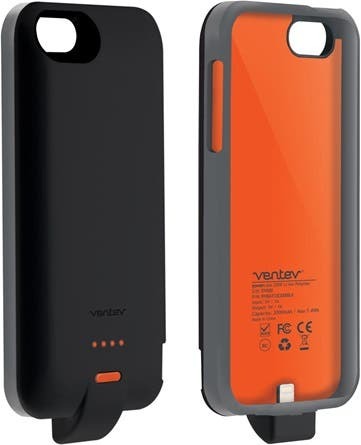 The Ventev Powercase 2000 fully charges the iPhone 5 one time (from 2%) and is easy to use. The one design feature I didn't love is the extra piece of plastic below the charging port at the bottom of the case that makes it a little awkward to hold, but that definitely wouldn't stop me from using it. I often use my Powercase when I'll be out for the day and know I won't have a bag with me. My phone with the Powercase easily fits in the pocket of my shorts. 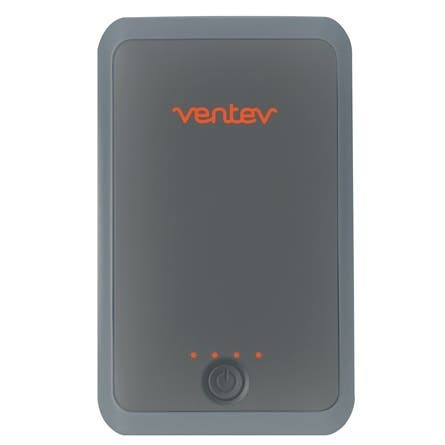 Ventev's Powercell 5000 ($54.99) is an external device charger that has the ability to charge two devices at once. This lightweight and compact charger fits into a pocket or bag and is equipped with two USB compatible charging ports–one 5W and one 10W. You'll need a charging cable to use with this device. The Powercell 5000 will charge your iPhone 5 approximately 1.5 times and can easily charge any other device that uses a USB cable such as an e-reader or Bluetooth headset. I use mine often when taking advantage of the mobile hotspot on my phone, since the hotspot drains the battery quickly. The size, weight, durability, and price of this product make it an outstanding value for a portable device charger. Though I love the previous two products I mentioned, I'm going to admit that Ventev has done something amazing for the charging cable. Their Chargesync Apple Lightning Cables are durable, tangle-resistant, and lightning fast. The meter-long Chargesync cables ($24.99) are reinforced at each end, which means no more split or frayed cables. Their thick casing is flat, causing it to look neater and feel more durable than traditional charging cables. In addition, the seven bright colors they come in make it easy to keep track of your charger and cable in a house of multiple iDevice users—as a mom, that's another big bonus. 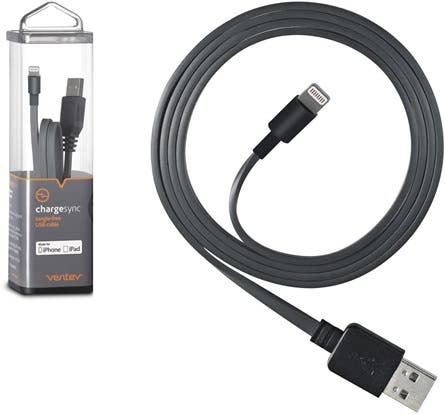 I never thought I'd feel so strongly about a charging cable, but Ventev has me sold on their Chargesync cables. To view the entire Ventev lineup, head to ventev.com.